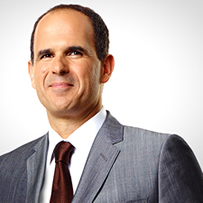 I’m a big fan of Marcus Lemonis, who helps struggling small businesses on CNBC’s The Profit. I even tweeted recently that I’d love to work for him. I really identify with how he goes about his business, and it reminds of my Dad and the lessons he’s taught me. One of his mantras is that successful businesses need the three P’s: people, process and product. This is a great, simple way of expressing how to build an enduring company. It’s just as applicable to building a successful online community. Community professionals are not a dime a dozen. There are great ones, bad ones and plenty in between. Some are just starting out, others have been in the field for more than 20 years. Your budget often dictates who you can hire and how long you can keep them. But as I talk to companies about various opportunities myself, I find the conversations going similarly: yes, I want you to make community a priority. No, it shouldn’t be the least important thing in the company, both in the organizational chart and in the financial resources you dedicate to it. Yes, I want to eventually build an exceptional community department and not always be a team of one. Salaries may be headed upwards, but plenty of people are still trying to cheap it out on community. It’s hard to attract (or keep) the best people with that mindset. This also extends to building strong teams, which is something I really enjoy doing. I love identifying great people and giving them an opportunity and take pride in how they grow as professionals after they have joined me. The true power of your people is unlocked by smart processes that allow them to work for efficiently. Repetitive actions should develop into a process – either manual, automatic or both – so that those tasks can be done both quicker and in the best way possible. For example, the removal of inappropriate content should have a simple workflow as to how it is removed and what happens when it is removed. An onboarding process, most or all of which is usually automated, helps new members become acclimated to the community, increasing their likelihood of contributing. How you handle feedback is a process, too. Community management is a series of processes, from your day-to-day routine to how you process bigger, long range goals. Always document your processes and update them as better methods become available. The community itself has to be great, in order to attract and keep people. This can be software (functionality), design and other things, but it’s mostly the members of the community. You have to know who you exist to serve – and pursue them aggressively. Trying to be all things to all people just leaves you lonely. When a potential members sees an amazing contribution, that’s the most powerful way to draw them in and make them want to be a part of the community. What’s the value proposition for the member? Will they be helped? Will they meet like-minded people? Will they make or save money? Will they be able to share their knowledge and earn respect, praise and/or credibility for doing so? You have to give people a reason – and make sure you always have at least one. Once they make the leap, that is when they are touched by your people and your process.